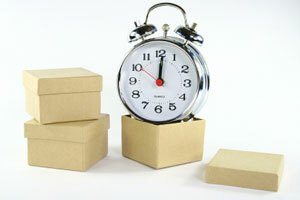 As an example I use timeboxing when doing my new year shopping each year. I usually allocate a total of 2 hours to the task, which for me involves buying gifts for 8 people (my wife handles the rest). I decide in advance what kind of gift I should get each person on my list, and then I order as much as I can online and then head off to the local mall, where I zoom from one store to the next picking up gifts as I go. I also usually take advantage of my flexible schedule, doing the shopping on a weekday morning when the stores aren’t busy and I don’t have to wait in line. So I’m in and out with everyone’s gifts in under two hours.